Contractor has progressed well and is now a head of schedule by 11%. Contractor continues excel and continues to address issues with the local residents in the area. These items along with Harwin Change order were discussed in a progress meeting conducted on March 24, 2016. A summary of the contractor’s time and expenditure is as follows: the contractor is roughly 45.0% complete ($6,491,189.48), with 33.7% (202 days) of the time expired. Contractor has submitted Pay Estimate #7 for $2,040,474.20 and CobbFendley has reviewed the pay estimate and concurs with this amount. The Contractor is working on the south side of the project working on the northbound lane between Bellaire and De Moss, excluding the Bellaire intersection placing roadway, sidewalk and driveways. Contractor has switched traffic to the east side from US 59 to just south of Bellaire, and is working on paving the west side from US 59 to Bellaire. Contractor has placed the junction box for the storm line on Fondren and the southeast corner of the Harwin intersection and has placed the storm line from US 59 to Bellerive. Currently the contractor is almost finished with the underground utilities on the East side and is paving and placing sidewalks from Harwin to Gulfton, and continuing south. The water line from US 59 to Hiawatha has been tested and accepted by the City. Traffic control has been set up starting south of the US 59 intersection and extending past Clarewood Road. Single lane closures have been set up at the Harwin Road intersection. 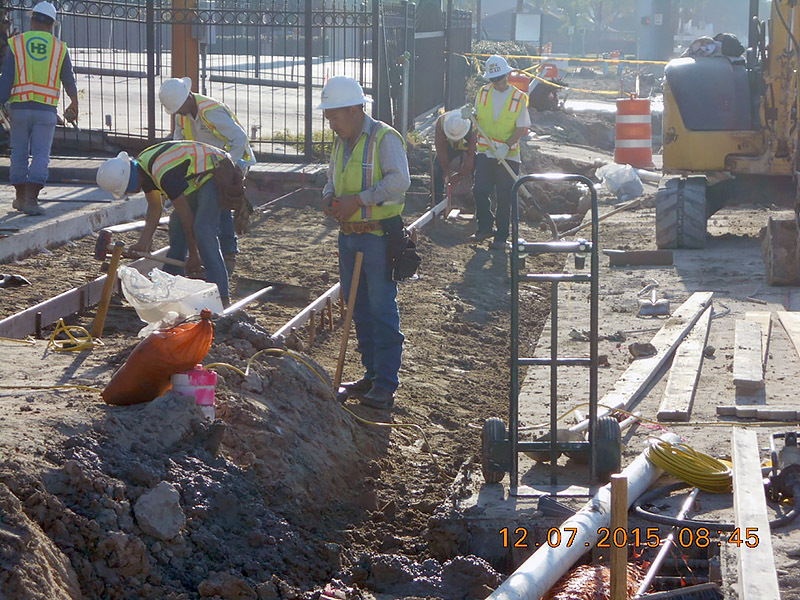 The contractor has started to install the storm junction box and the rest of the underground utilities at Harwin. The Contractor will continue to focus on finishing the pavement at the southwest side of the project and installing the storm line south of Bellerive to Moonmist and Dashwood to Clairwood. Work will continue on northbound paving between Clairwood to Dashwood and southbound paving between Bellaire and Croton. The 16-Inch water line will be placed from Hiawatha to Clarewood. CobbFendley is working directly with AT&T regarding relocation of lines and coordination of junction boxes at the conflict locations. AT&T is in favor of the junction box conflict vault and has implied that they will pay for the vaults as each is installed, Coordination continues regarding this effort and will be updated as more information becomes available. Change Order 1 is in process and is in the neighborhood of $500,000. Contractor is has progressed well and is now a head on the scheduled time. Contractor continues to set the bar high and continues to address issues with the local residents in the area. These items along with Harwin Change order were discussed in a progress meeting conducted on December 22, 2015. A summary of the contractor’s time and expenditure is as follows: the contractor is roughly 22.6% complete ($4,353,798.30), with 18.5% (121 days) of the time expired. Contractor has submitted Pay Estimate #4 for $1,095,633.14 and CobbFendley has reviewed the pay estimate and concurs with this amount. 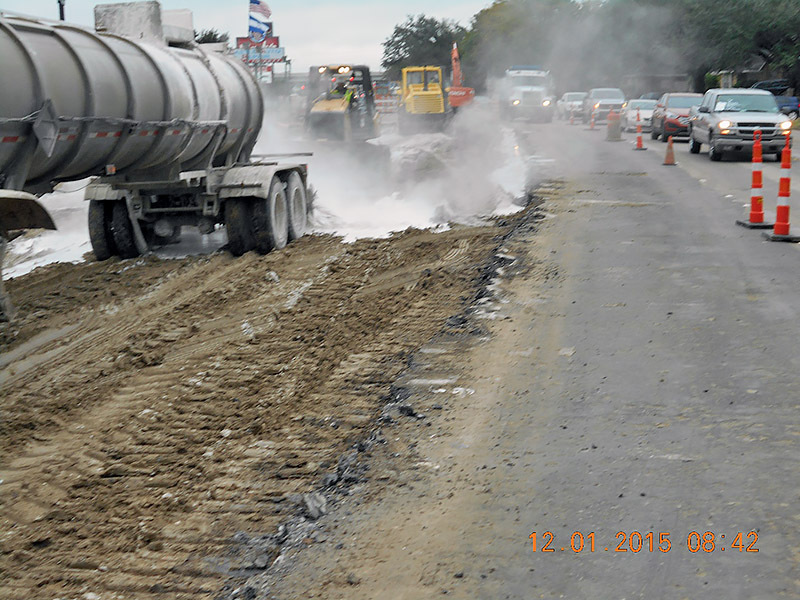 The Contractor is working on the south side of the project working on the northbound lane between US 59 and Bellaire placing roadway, sidewalk and driveways. 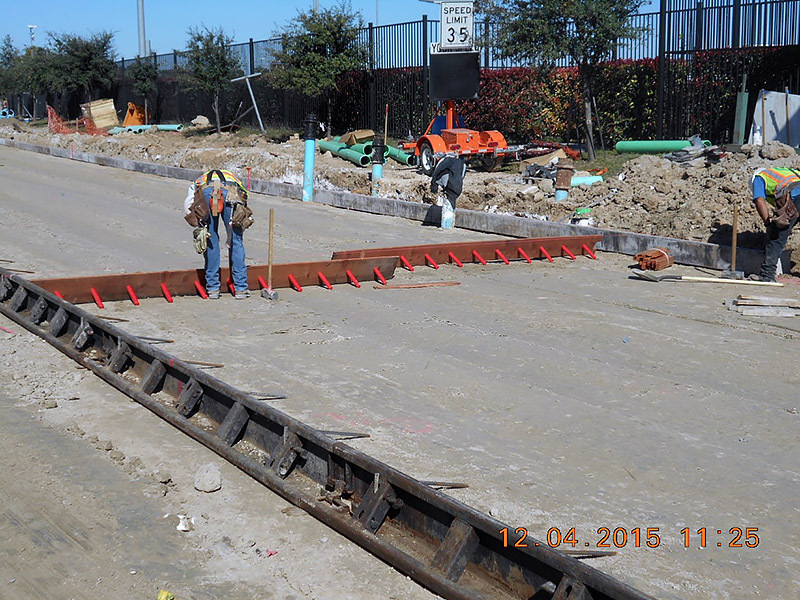 Contractor is also placing storm line on Fondren to the south of the Harwin intersection. Currently the contractor is almost finished with the underground utilities on the East side and is preparing to construct final pavement and sidewalks before moving further north. Traffic control has been set up starting south of the US 59 intersection and extending past Croton Road. Single lane closures have been set up at the Harwin Road intersection. The contractor has started to install the storm and the rest of the underground utilities at Harwin. The Contractor will continue to focus on finishing the pavement at the southwest side of the project and the storm boxes from Harwin to Gulfton. The contractor took the holiday off and will resume work Monday morning January 4, 2016. Work will continue on Northbound Paving between US 59 and Bellaire and Storm line installation will continue to on Fondren south of the Harwin Intersection. The discovered AT&T line has not been relocated as of yet. This could cause a delay in the contract time. We are working closely with AT&T to get the line relocated. Per Board request, we have been working on the Harwin west side additional design. We have used current bid items where possible and have added bid items as needed. We anticipate that the increase scope of work will also add days to the contract. At the time of this report the contractor had not completed the scheduled of values. If this changes we will let the board know in advance before presenting the change order information. Construction has begun on sidewalk and lighting improvements funded by TIRZ 20 to benefit a few areas with high pedestrian traffic. The scope is for sidewalks to be placed on one side of parts of Bintliff Dr., Tarnef Dr. Rookin St., De Moss Dr., Corporate Dr., Sovereign Dr. Town Park Dr., and Clarewood and to place illumination on Bintliff Dr., Rookin St., and De Moss Dr. Currently, our crews are working on Rookin from Demoss to Hornwood. A pre-construction meeting was held for the project on August 24th. The cost of project is, and the length is 600 calendar days. Notice to proceed was issued for August 31, 2015, making the completion date April 22, 2017. Progress meeting scheduled for September 29, 2015. No information is available at this time. The Contractor has starting working on the south side of the project, and is removing the medians and interior lanes to start installing storm sewer. Traffic control has been set up starting south of the US 59 intersection. The Contractor will continue to focus on installing the storm sewer.